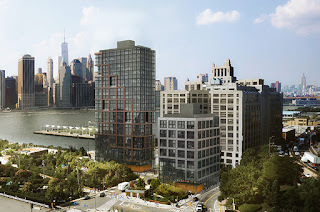 A public hearing on the proposed 31- and 15-story residential towers at Pier 6 in Brooklyn Bridge Park will be held this Thursday, July 30 from 6 to 9 p.m. at St. Francis College, Founders Hall, 180 Remsen Street. Turnout is expected to be big for this important hearing. Opponents say the project planned for the park has not been proven necessary to support the park financially, and is actually a giveaway to a politically-connected developer. Mayor Bill de Blasio is pushing the development as a way to get more affordable housing built. 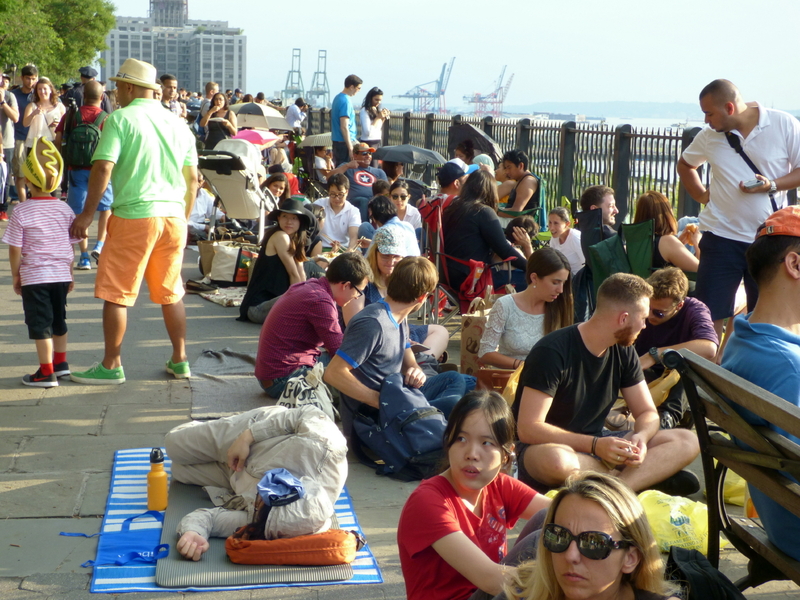 Brooklyn Bridge Park says it needs the money the project brings in to support the park. BBP is expected to pull an independent financial study (paid for by BBP) out of its hat, minutes before the hearing, proving that the project is necessary. Patch reports that a city probe has been launched into the educational programs at 38 ultra-Orthodox Jewish boys’ schools (yeshivas) in Brooklyn, and one in Queens. Although the yeshivas are privately run and funded, many receive public funds for buses, books, food, etc., and are required to provide an education of similar quality to public schools. The Brooklyn yeshivas — mostly located in Borough Park and Williamsburg, with a few in Crown Heights and one in Flatbush — aren’t even coming close, the complaint says. Check out "New York's Buffest" in FDNY's 2016 Calendar of Heroes. Was Brooklyn Guidance Counselor Given the Boot Because of Voodoo? Guidance Counselor Stevenson Petit says the principal of It Takes a Village Academy, in East Flatbush, Brooklyn, is trying to get rid of him because of his interest in the practice of voodoo. According to Pix 11, Petit says Principal Marina Vinitskaya filed a complaint about him in 2012 (it was dismissed) and now is behind a letter explaining his position is no longer needed. Voodoo, however, is not too far out of the norm at the school and nearby neighborhoods. According to Voodoo Authentica, Brooklyn "is truly a hub of Haitian Vodou." In Flatbush, there are about "50 voodoo priests" in a four-block radius," according to the Daily News. And according to NY Magazine, "Severed goat heads keep turning up in nearby Prospect Park." About 40 percent of the students at It Takes a Village are English language learners who recently came to the U.S. from countries including voodoo-friendly Haiti, Yemen and Africa, according to WNYC. A Brooklyn judge has signed an order finalizing the State University of New York’s (SUNY) sale of Long Island College Hospital (LICH) to developer Fortis Property Group, the Brooklyn Eagle reports. The approval, after years of litigation and community opposition, clears the way for the development of the former hospital site in Cobble Hill, Brooklyn. 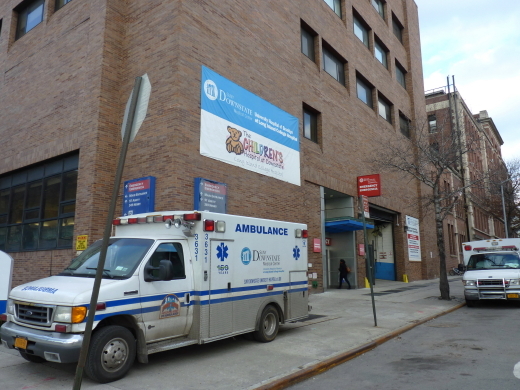 The tawdry deal hands over a much-needed hospital in Brooklyn's fastest growing area to a politically-connected real estate developer. The Park Slope Civic Council urges Park Slope residents to attend important public hearings on the Pavilion Theater project. The first hearing is before the Community Board 6 Landmarks Committee on Thursday, July 23rd at 6:00PM, which will be held at the 78th Precinct at 65 Sixth Avenue (between Dean and Bergen Streets). The committee will make a recommendation to the Landmarks Preservation Commission (LPC), which will receive public testimony on this project at a second public hearing on August 4th at 9:30 am at the Manhattan Municipal Building, 1 Centre Street, 9th Floor. The community's testimony at these public hearings will be a factor in the final design of the project. The Pavilion Theater will be converted into 24 condos, a subterranean 16-car garage, and 4 movie screens. 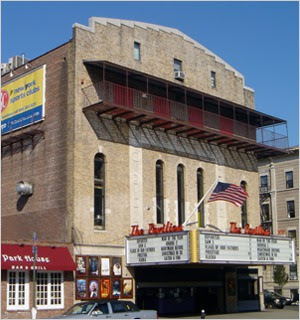 Tenants and cars will enter on the 14th Street side of the theater. The project will incorporate a new 5-story building replacing the existing one-story restaurant facing Bartel Pritchard Square. 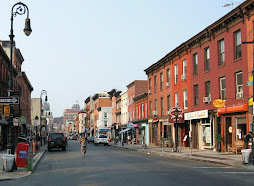 In including these properties in the extension of the Park Slope Historic District, the LPC called the west side of Bartel Pritchard Square a formal portal into the neighborhood. The project will be a significant addition to the square, which makes it important for the community's voice to be heard at these two hearings. 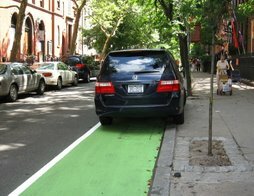 Check the CB6 website (www.brooklyncb6.org/calendar) to confirm that there is not a change in location. In case you missed it: After the Donald gave out his phone number, Senator and GOP presidential candidate Lindsey Graham -- who defended Sen. John McCain after Trump slandered him -- demonstrated many creative ways to dispose of his cell phone. This is why @LindseyGrahamSC hasn't been answering my calls! Have You Seen Cornelio Pascual, Missing from East New York, Brooklyn? NYPD issued a Silver Alert on Wednesday at 4:15 PM for the disappearance of Cornelio Pascual, a 73-year-old Hispanic male with Alzheimer's from the area of Schenck Avenue and Stanley Avenue in the East New York section of Brooklyn. He was last seen on Tuesday at approximately 3:45 PM wearing blue jeans, a striped polo shirt, black sneakers and a black Kangol hat. He is described as 5'6" tall and 150 lbs, with dark hair and dark eyes. If you see him, please call 9-1-1. 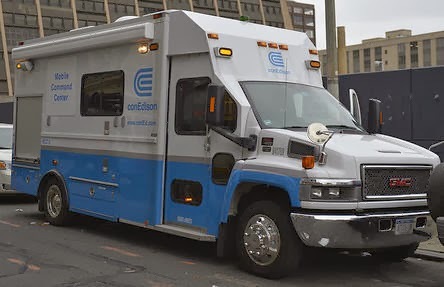 It was a hot and sticky night for more than 9,000 Con Edison customers in Brooklyn and Staten Island Monday night into Tuesday. Staten Island was hardest hit, with approximately 19,000 customer outages in the Fresh Kills and Fox Hills neighborhoods losing power. By 1:30 a.m. Tuesday, the situation had improved on Staten Island, to just over 3,000 customers without power. For roughly 2,600 of them, Con Ed says the power will be restored by 5 a.m. Tuesday morning. The power prognosis for hundreds of other Staten Island customers is "pending." Roughly 1,000 Con Ed customers were without power Brooklyn as of 1:30 a.m.. Con Ed says the power won't be back on in Brooklyn until 7 p.m. Tuesday. Con Ed has asked affected neighborhoods to conserve energy while company crews work to repair equipment problems. Con Edison has also reduced voltage in those areas as a precaution. Early Tuesday morning, about 100 customers in Manhattan and the same number in the Bronx were without power. Due to the extremely hot temperatures, Con Edison wants to remind all customers citywide to conserve energy. Con Edison is asking customers to limit use of washers, dryers, air conditioners, and other energy-intensive equipment, and to turn off lights and televisions when not needed. Customers can report outages and check service restoration status at www.conEd.com or by calling 1-800-75-CONED (1-800-752-6633). The Park Slope Civic Council urges Park Slope residents to attend important public hearings on the Pavilion Theater project. The first hearing is before the Community Board 6 Landmarks Committee on Thursday, July 23rd at 6:00PM, which will be held at the 78th Precinct at 65 Sixth Avenue (between Dean and Bergen Streets). 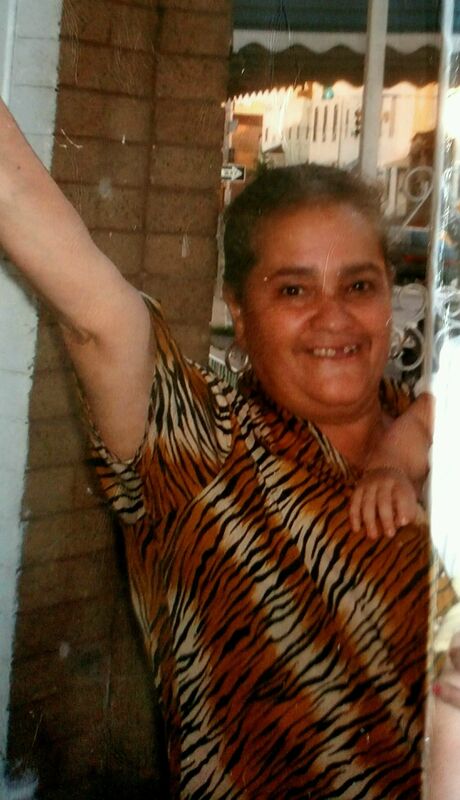 The NYPD issued a Silver Alert late Sunday night for the disappearance of Carmen Morales, a 67-year-old Hispanic woman with dementia and Alzheimer's from the East New York section of Brooklyn. She was last seen on 7/15 at approximately 11:00 PM in the area of Atlantic Avenue and Linwood Street. Ms. Morales is described at 5'3", 125 lbs., with black hair and brown eyes. She was last seen wearing blue jeans, a blue shirt, and brown sandals. If seen, call 9-1-1. 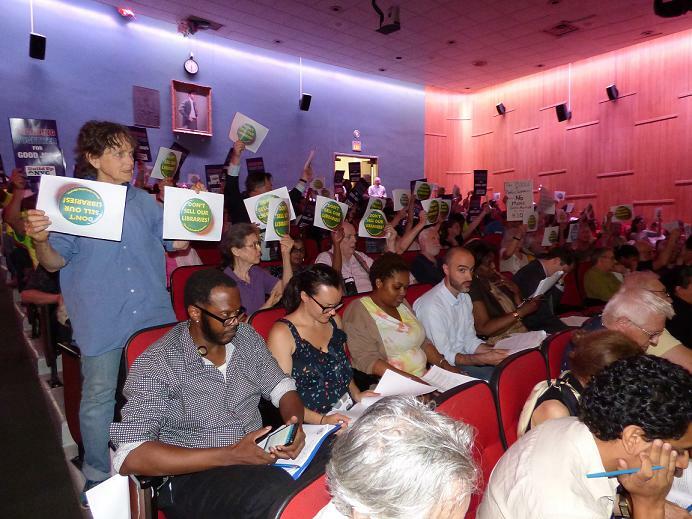 At a packed and frequently interrupted meeting Wednesday night, Brooklyn's Community Board 2 approved, with provisions, a much-disputed plan to sell and redevelop the site of the Brooklyn Heights Library. 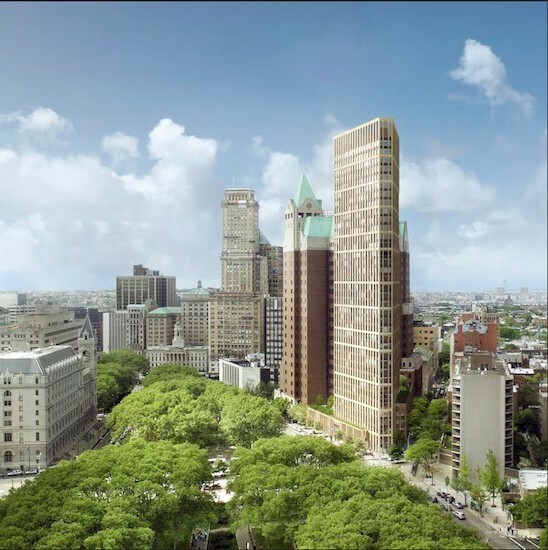 In the plan, Hudson Companies Inc. would build a soaring residential tower, replace the current library with a smaller one, and construct 114 affordable-housing units in Clinton Hill. The added provisions would create a reserve fund of at least $2 million for future capital repairs; require the same "usable" floor space as the existing branch (much confusion over what is exactly usable, however); and create a Community Benefits Agreement and a Memorandum of Understanding (MOU). As the Brooklyn Eagle explains, emotions ran high and members of the audience were warned several times to quiet down or be ejected. The proposal next moves to the Borough President’s Office, and then the City Planning Commission. - Flash flooding swamped parts of Brooklyn on Wednesday. The above is a video posted to Instagram by Andres Guardia showing flooding near the Gowanus Canal. - Farewell, Smith Street: After many of its big names close up shop, the Observer says Smith Street's restaurant row is "a shadow of its former self." - Apparently it’s not enough for Greenpoint to lose 5 beautiful London Plane trees. The Parks Department and City Council seem to be "OK with the losing out on $414,000 restitution" because "soon enough Greenpoint will be blanketed in trees," says Greenpointers. The GoFundMe campaign for the Brooklyn Heights parents of a 3-month-old baby boy who died in a SoHo day care raised $50,000 its first day. More than 650 kind hearts have donated amounts ranging from $5 to $2,000 to Lee Towndrow and Amber Scorah, the parents of little Karl, who died during his first morning at the day care center. Wrenchingly, one message, along with $5, was left by the parents of another family whose child also died in a day care: Donor Denise McCoy wrote, "I'm sorry I can't give any more than this.....although I would love too. We just lost our 4 month old at an unlicensed daycare as well just 2 weeks ago :( "
More on Karl's tragic death here. 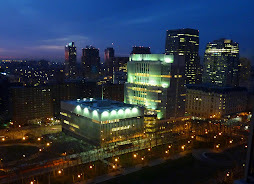 Tonight (Wednesday, July 15th) at 6:00 p.m. Brooklyn’s Community Board 2 will vote on the proposed sale and development of the Brooklyn Heights Library on Cadman Plaza West at the corner of Tillary and Clinton Streets. The CB2 meeting takes place at St. Francis College, Founders Hall, 180 Remsen Street (Court and Clinton streets)in Brooklyn Heights. Brooklyn Public Library says it needs to sell the library site because it needs millions in repairs, and in order to support at least four other crumbling libraries in Brooklyn. Local opposition to the sale has been vociferous, however. A group called Citizens Defending Libraries has taken the lead, saying, "If the board votes “YES” to approve the proposal it will set the table for future developers to feast on public assets." More details about the vote and CB2's 3 caveats here. Families for Safe Streets, an organization made up of relatives of people killed in traffic violence, is hosting a Vigil for Vision Zero tonight (Tuesday, July 14), 7 p.m. at Union Square Park North. The vigil comes one day after a tragic crash on Flatbush, Fourth and Atlantic Avenues in Brooklyn, which killed a cyclist and injured six others, according to the Brooklyn Eagle. The crash was caused by a a 37-year-old man who lost control of his SUV, leaving a blocks-long swath of death and destruction. Brooklyn is the deadliest borough for pedestrians with 130 traffic deaths over three years, according to an analysis from the Tri-State Transportation Campaign. Get Your Act Together for the Coney Island Talent Show! 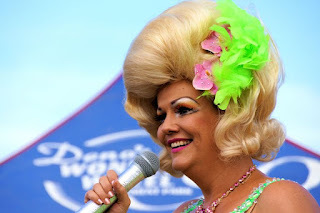 Here's your magical ticket to the big time: The 6th Annual Coney Island Talent Show takes place Saturday, July 25th,from 4-8pm on the Boardwalk (between 10th & 12th street). 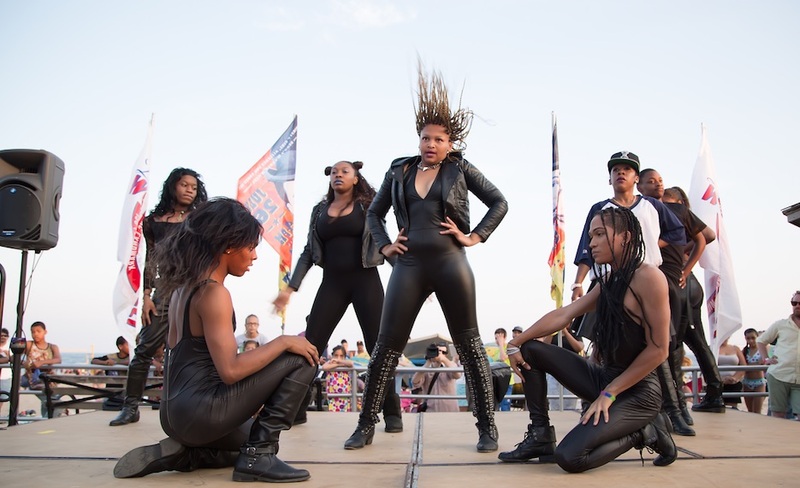 Organizers (The Alliance for Coney Island, Deno’s Wonder Wheel & Thirsty Girl Productions) call the splendorous event: "A spectacle of sunshine and lollipops on the boardwalk." Join Hostess The World Famous *BOB* and the fanfare of legendary talent that has come out of Coney Island -- and be a part of it. You KNOW what you can do! 2nd prize in each category will receive a cash prize of $100, and day passes to participating Coney Island Amusements. 3rd prize in each category will a cash prize of $50, and tickets to participating Coney Island Amusements. The Best Dressed person in each category will receive a special mystery prize. To apply to perform in The Coney Island Talent show, visit www.coneyislandtalentshow.com and fill out an application by July 15th. 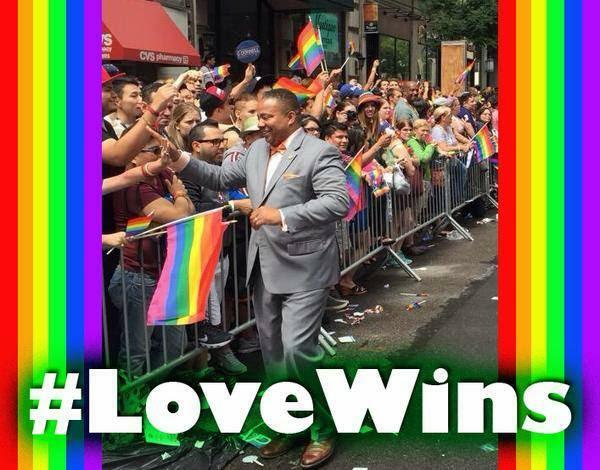 Brooklyn Officials, Gay Pride Groups to Hold #LoveWins Anti-Violence Rally Thurs. 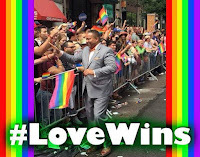 Following an anti-gay hate crime in Crown Heights, NYS Senator Jesse Hamilton, Brooklyn Borough President Eric Adams, LAMBDA Independent Democrats of Brooklyn (LID)and numerous gay pride groups will be standing together on Thursday at 1 p.m. at Utica Avenue and Carroll Street. On June 30th, someone just going about their business on a beautiful summer evening faced a horrific anti-gay attack. A hate crime. We are gathering at the place of the incident to say: Not in our neighborhood. Not in our City. Not in our State. We refuse to let the hateful acts of those attackers prevail. We refuse to turn our backs on the safety and security of our LGBTQ family, friends, and neighbors. 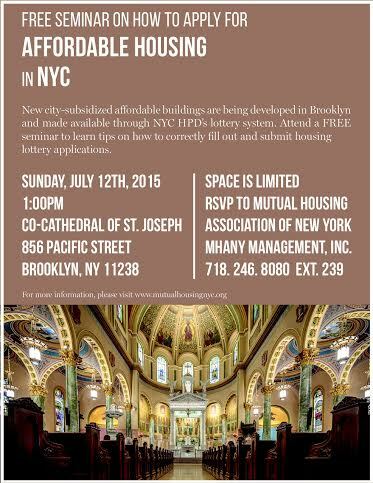 A free seminar being held on Sunday, July 12 in Brooklyn on how to apply for affordable housing in New York City. The Co-Cathedral of St Joseph's -- Rector Monsignor Kieran Harrington -- is a partner in hosting this seminar. According to tthe press release from Berlin Rosen, the seminar is especially important as new city-subsidized affordable buildings are being developed in the borough and are being made available through NYC HPD's lottery system. The seminar will include information on how to correctly fill out and submit housing lottery applications. The event will take place at the Co-Cathedral of St. Joseph, located at 856 Pacific Street (Prospect Heights) in the basement, and will start promptly at 1:00 PM. MHANY owns and manages approximately 1,500 affordable residential apartments within NYC. 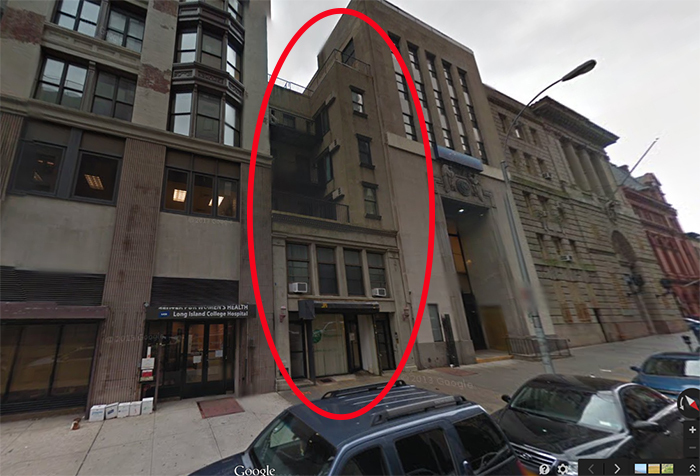 Jonathan Rose Cos. is planning to develop a 19-story residential property at 146 Pierrepont Street in Brooklyn Heights, the Real Deal reports. "Her former studio at 146 Pierrepont Street was filled with skeletons, taxidermy and voodoo altars, which sometimes triggered a state of possession in Haitian visitors. 'They started talking in tongues, talking as gods,' [her son] Peter said. Random people would drop off body parts from time to time. “A window washer dropped off a skull,” Peter recalled. Mourning for the old days already . . .
1: A special account of at least $2 million set aside only for the capital needs of the Brooklyn Heights branch, to avoid the deterioration that occurred in the current building. 2: That the new branch library should have the same amount of square footage as the current branch. There was some fuzziness over exactly what this includes, however. 3: A request for a Community Benefits Agreement and a Memorandum of Understanding (MOU). These are intended, at minimum, to ensure the developer, the Hudson Companies, keeps its promises that affordable housing be built before breaking ground on the tower, and an interim library be established during the multi-year construction of the 36-story project. As can be expected, members of the public were not happy with the approval. But another hearing is coming up soon at Borough Hall. 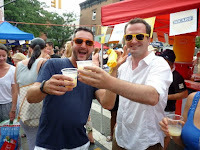 Bastille Day will be celebrated in Brooklyn on Sunday, July 12 on Smith Street in its usual fabulous manner. French folk and those who love them will crowd Smith Street to drink Pastis, watch the petanque tournament, stick their heads in the guillotine, eat French food and party at Bar Tabac, a major sponsor. The north end of the street will be closed off and covered in sand for the annual petanque tournament, near Bar Tabac (128 Smith St. at Dean Street). John Quadrozzi has been donating and spreading the sand with his cement trucks for the past 11 years to create the petanque courts. 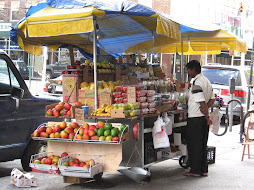 The food and drink come from Smith Street restaurants and shops. Competitors in the petanque tournament come from all over the world. Petanque, pronounced "pay-tonk", is related to the Italian bowling game called 'bocce'.Only it's French. 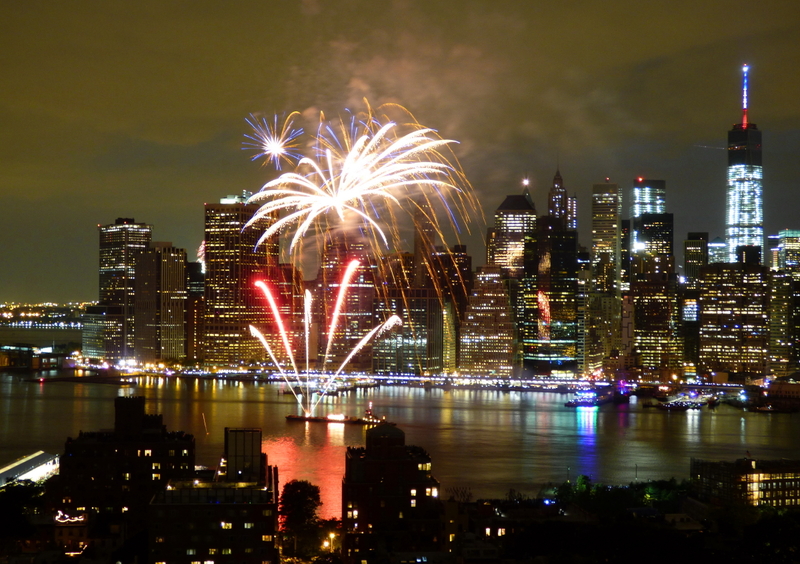 The Brooklyn event is the biggest Bastille celebration in the U.S. The event was founded by Bette Stoltz along with restaurants Bar Tabac and Robin des Bois (now shuttered), and is sponsored by French apéritif company Ricard. 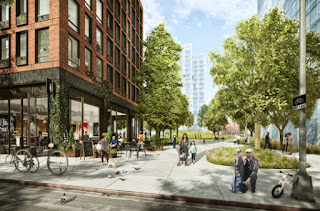 Atlantic Yards Report had created an excellent in-depth analysis of why ballyhooed Pacific Park, the privately managed open space being planned for Atlantic Yards' Pacific Heights 14-tower mega-development, won't actually be a "park," despite the rhetoric of developer Greenland Forest City Partners. * The amount of open space is well below the city average for the population around it. * The street trees pictured do not resemble the actual plan. Many won't actually be there at all. Tonight, Community Board 2's Land Use Committee will again consider the controversial proposed sale of the Brooklyn Heights Library branch to a developer who plans to demolish the library and replace it with a 36-story (441-foot-tall), 139-unit luxury residential tower, with a new library occupying the ground floor and some space below the ground. The meeting takes place at 6:30 p.m. in the Founders’ Hall of St. Francis College, 180 Remsen Street (Court and Clinton streets). At its previous epic four-and-a-half hour hearing in June, the Committee failed to reach an affirmative vote. Tonight's meeting is NOT a hearing, and it is likely that no time will be available for public comment. 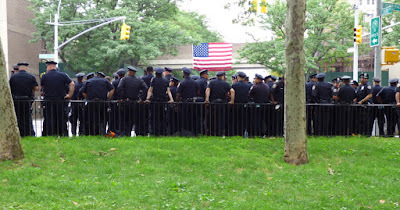 Hundreds of police and terrorism officers took over the streets of Brooklyn Heights Saturday afternoon in preparation for the Macy's July 4th fireworks display. Cordons and metal fencing were set up on the Promenade, and several streets between Brooklyn Heights and DUMBO were blocked to both cars and pedestrians. Aviation units patrolled the skies, and the NYPD Harbor Unit guarded the waterway. 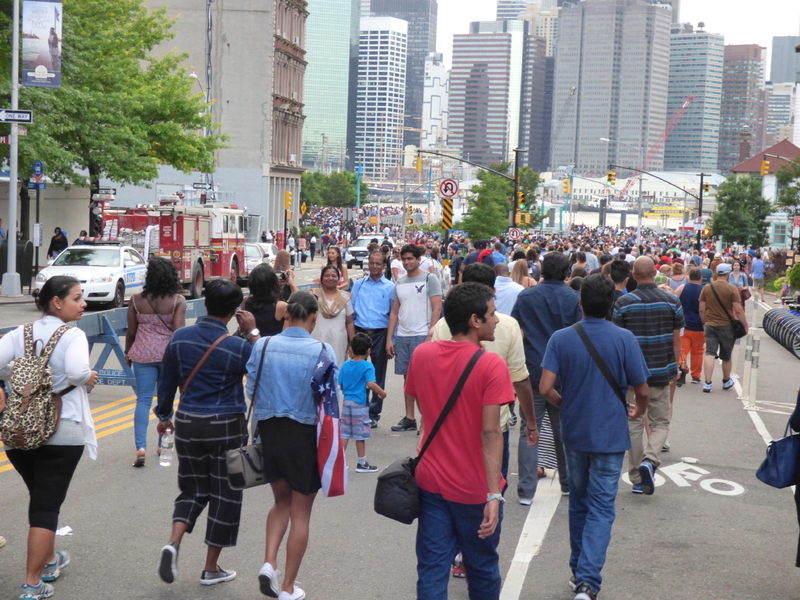 All afternoon, the crowd grew on the Promenade -- especially after the drizzle stopped. Police checked bags and backpacks before letting anyone in. 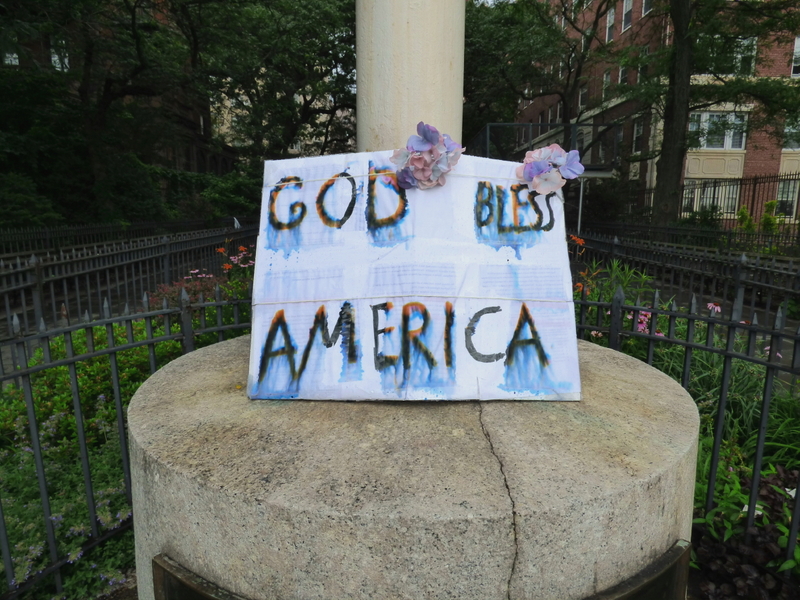 Someone hand-lettered this patriotic sign and propped it up on the Promenade flagpole. An incredible crowd strolled down Old Fulton Street towards Fulton Ferry Landing, Brooklyn Bridge Park and DUMBO, hoping to land a spot by the water to see the fireworks. 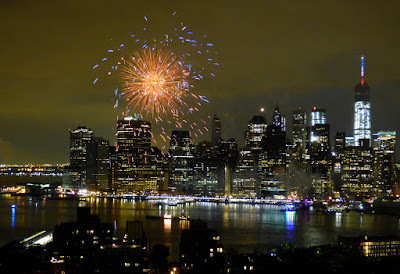 We watched the display from atop a tower in Brooklyn Heights. Brilliant show! We could hear applause and whoops from balconies and hi-rises across the Heights as the fireworks wound up. All in all a great day. But the line to get back on the 2 and 3 and A trains ---- Unbelievable!